Sliding patio doors are a popular alternative to french doors. They are usually installed between the house and the garden but can also be used as a room divider in a conservatory or extension. Their popularity is due to the amount of light they allow into the property. There are several advantages of patio doors, including space and size. As the name implies, sliding patio doors slide rather than open on a hinge, reducing the amount of space required, and the possible span is an impressive 18 meters. Sliding patio doors can vary from between 8 and 10 feet high, and 16 and 60 feet wide, allowing for a larger than average entrance that is perfect when moving items such as furniture in and out of your home. One of the common decisions a homeowner often will need to consider when selecting a door type for the conservatory is to choose either sliding or bi-fold. A sliding door provides a greater sense of open environment feel while maximising the glazed and minimising the framework used. 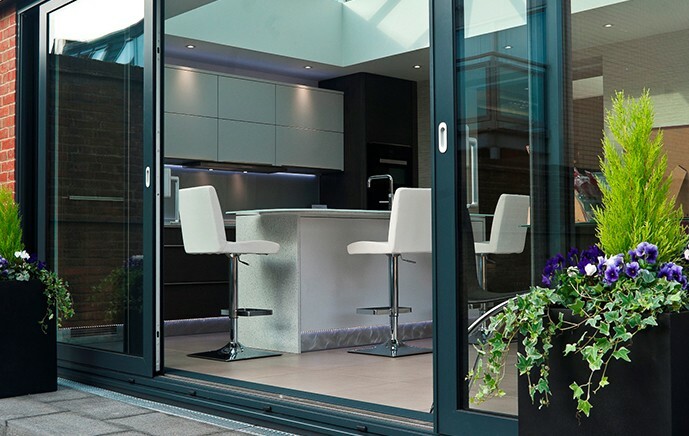 Bi-fold doors can open up space in its entirety removing the disconnect between the outdoor garden and interior living areas. Patio doors are available in three different materials: PVCu, Aluminium and Timber. 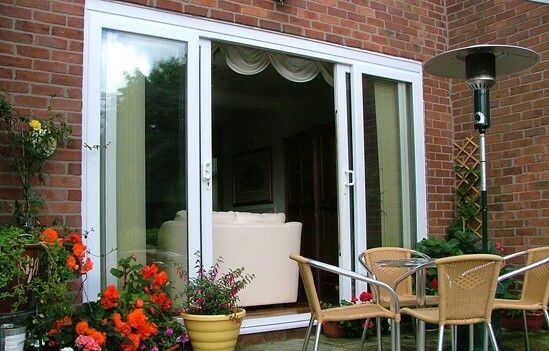 uPVC sliding patio doors are renowned for being virtually maintenance free and highly durable. This material has great thermal properties as has been a material of choice for over 20 years. uPVC patio doors come in a range of styles and colours including dual colour options. 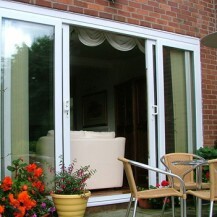 Aluminium patio door systems are perfect for Large openings. This patio door features slim lines which means more light can enter your property as well as enhanced security features. 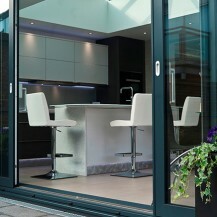 Coupled with low emissive glass, aluminium patio doors are thermally enhanced making them a desirable option. Aluminium sliding patio doors are available in 2, 3 or 4 door designs and a range of colours including anodised and metallic finishes.